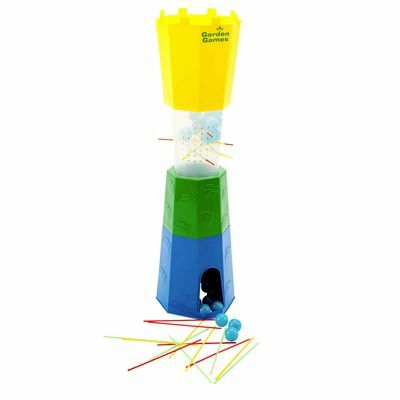 The Garden Games Cannonball Drop is a game that will add much fun to any social event or family gathering. Players take turns to remove straws from the plastic frame. The straws support balls and the aim is to not let them drop. The winner is the person with the smallest number of balls at the end. The tower measures 1.2 m and features bright, colourful design. 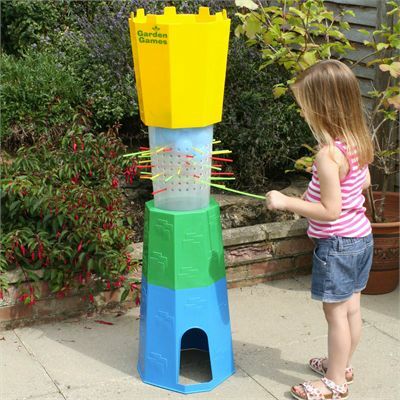 It can be played by people of all ages, both indoors and outdoors. for submitting product review about Garden Games Cannonball Drop.